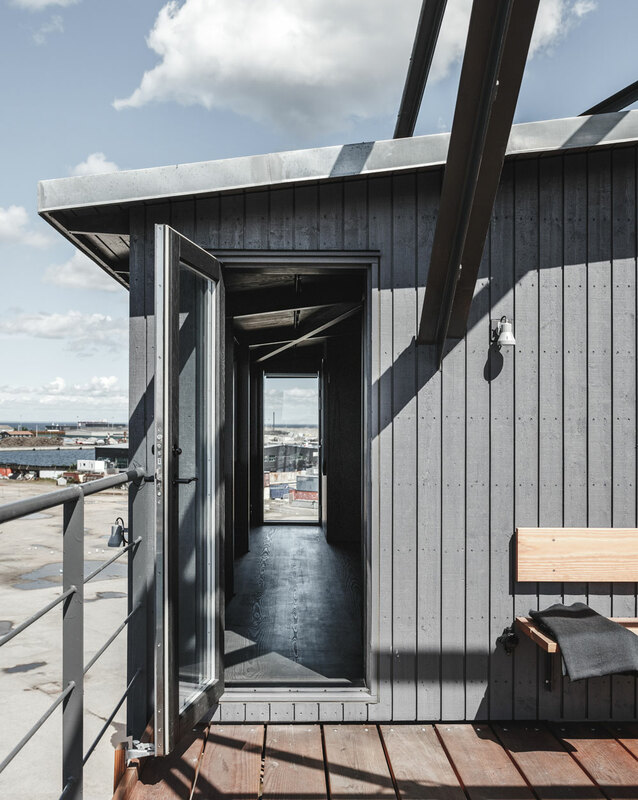 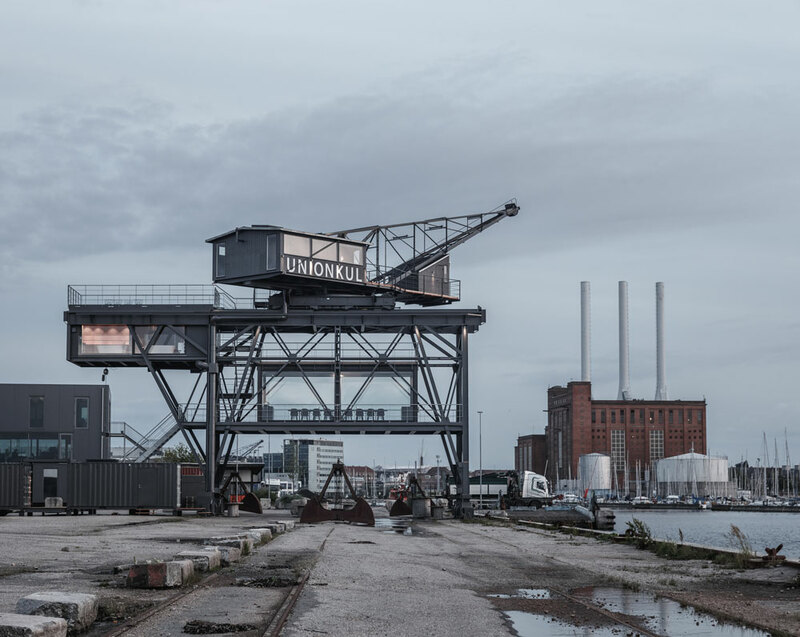 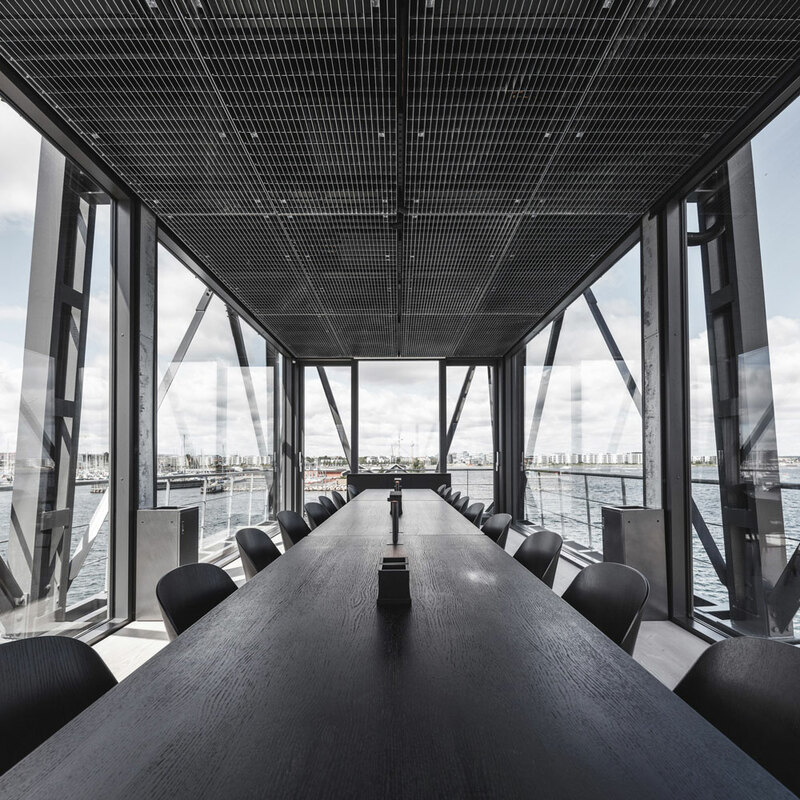 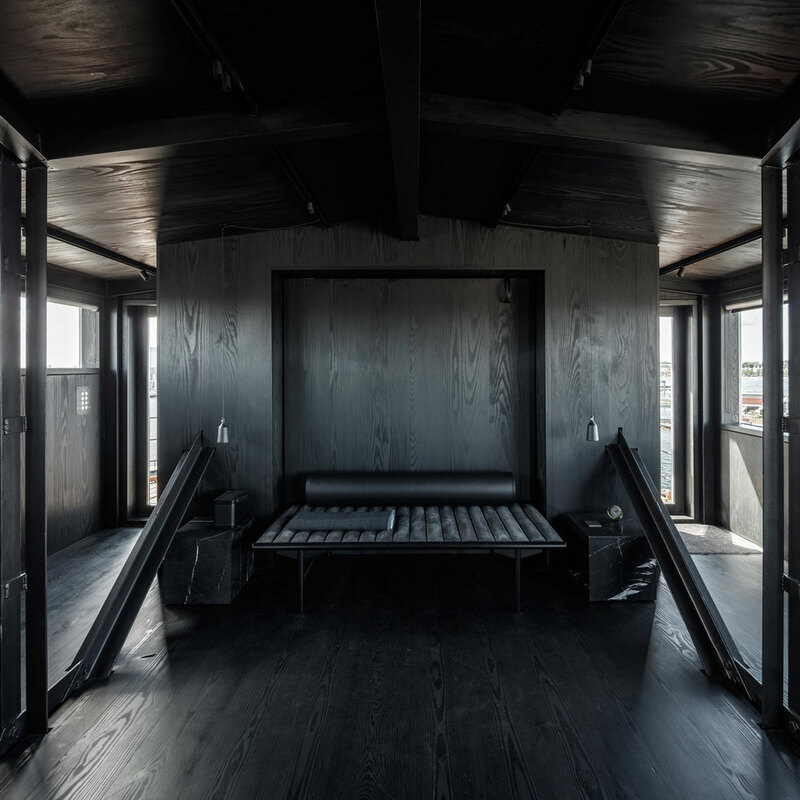 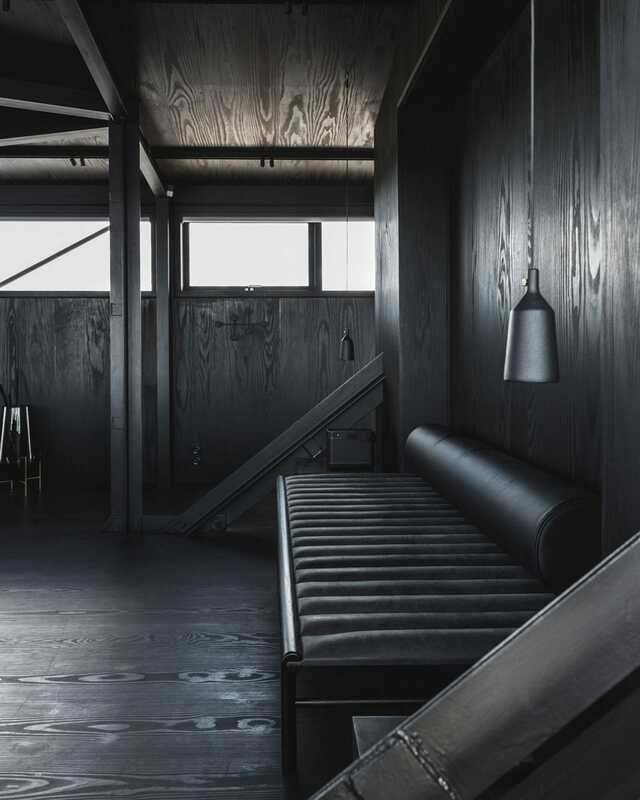 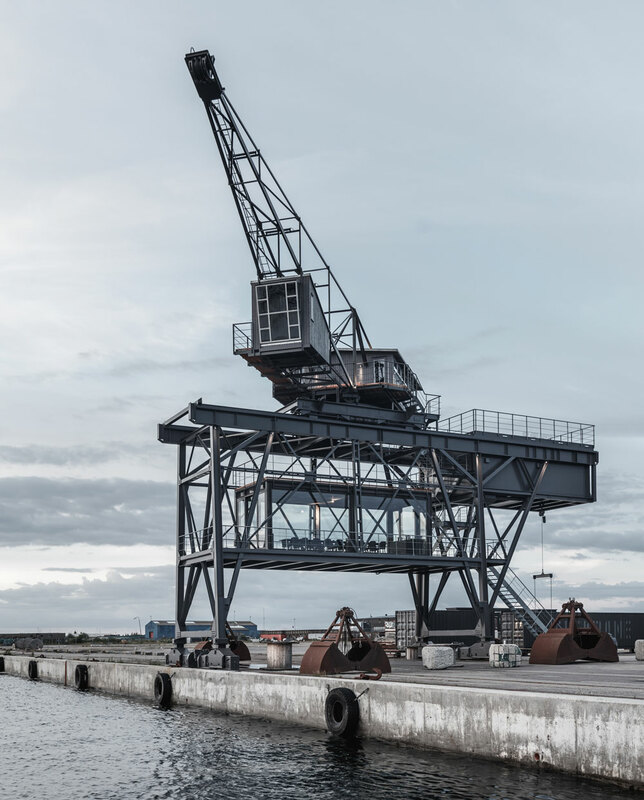 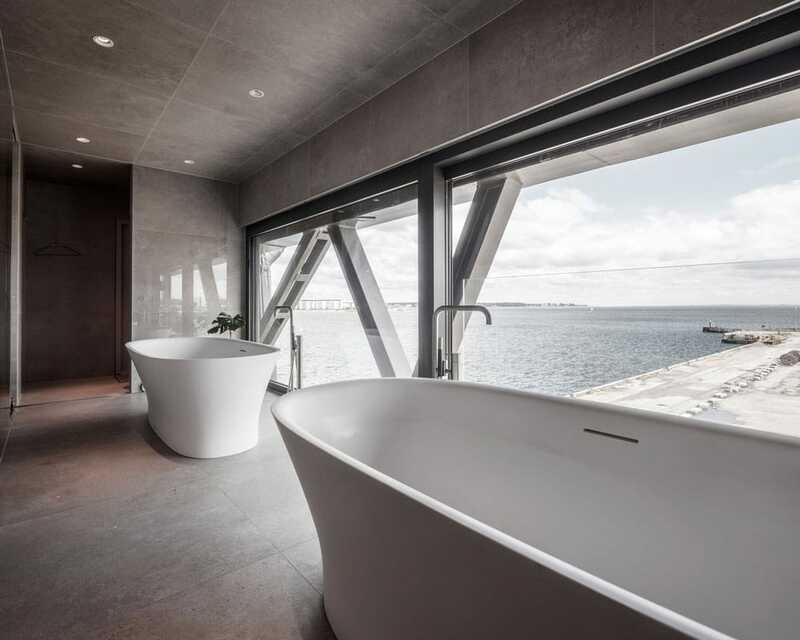 An old industrial coal-lifting crane on the harbour in Nordhavn, Copenhagen, was transformed into a sleek, contemporary and multi-functional space. 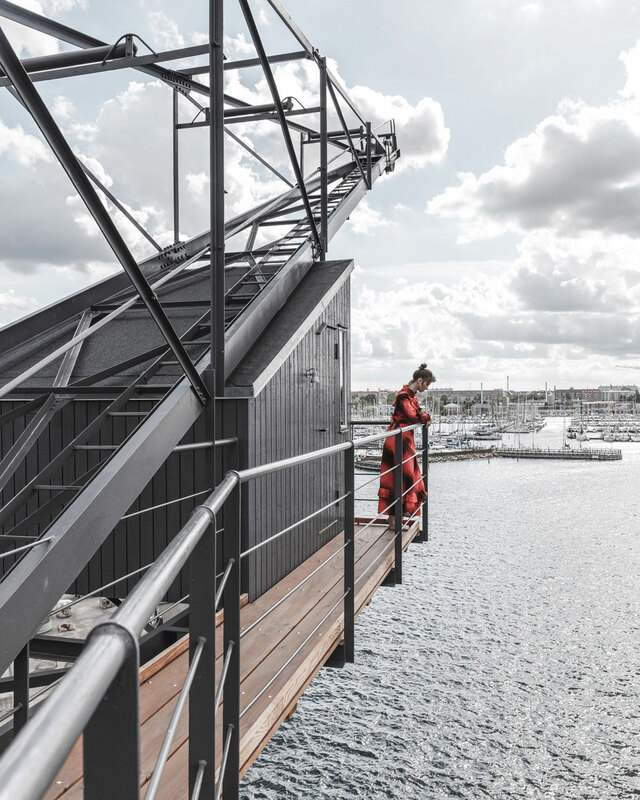 Each area of The Krane‘s four structure is available for hire: A reception on the ground floor; a meeting room with 360-degree views on the first floor; a spa clad with two bath tubs on the second floor; and a 50-square-meter retreat on the top floor. 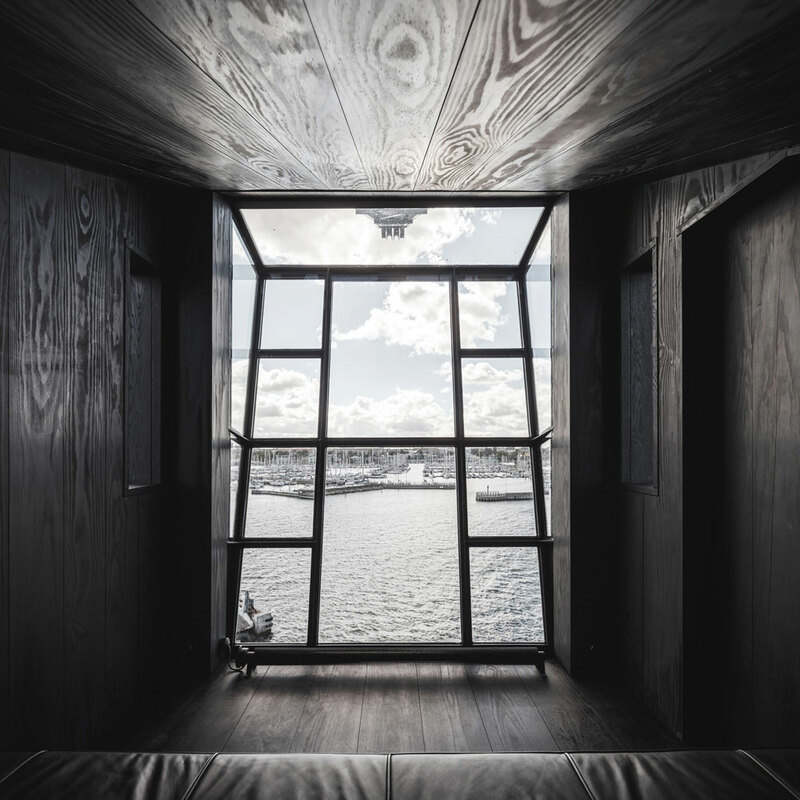 There are plenty of large windows to make the most of the impressive vista, and to enjoy as much natural light as possible. 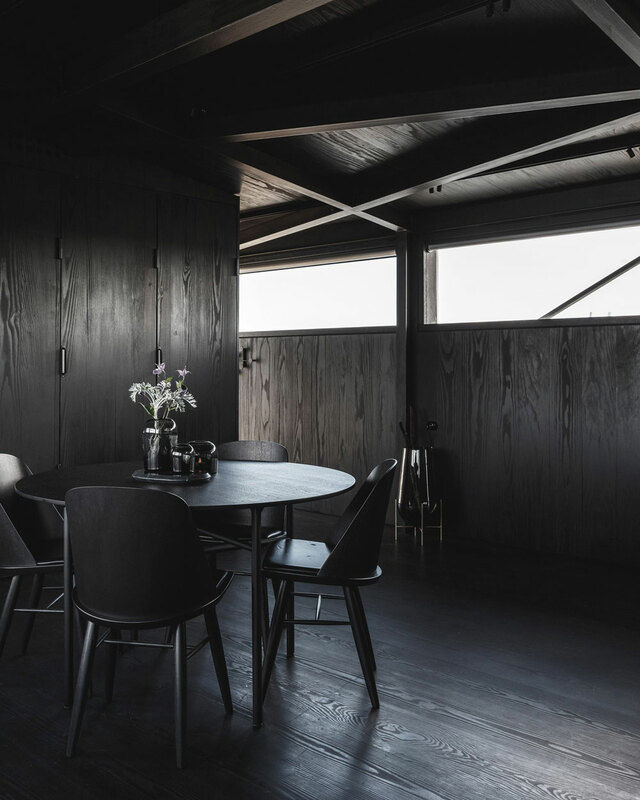 The interior space is clad entirely in stained Dinesen Douglas fir, and it is furnished with built-in furniture, as well as custom-made pieces in leather, wood, stone and steel. 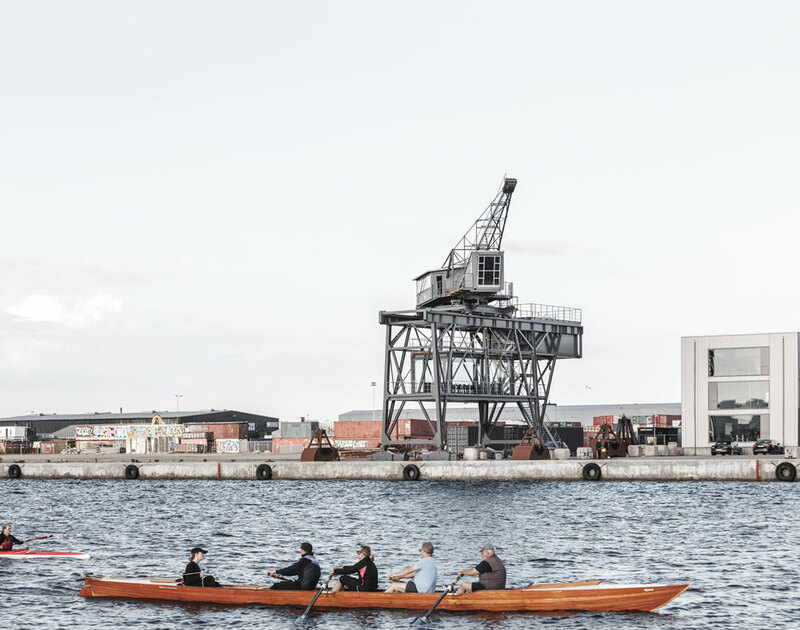 Guests can use the complimentary bicycles or a BMW i3 electric car.